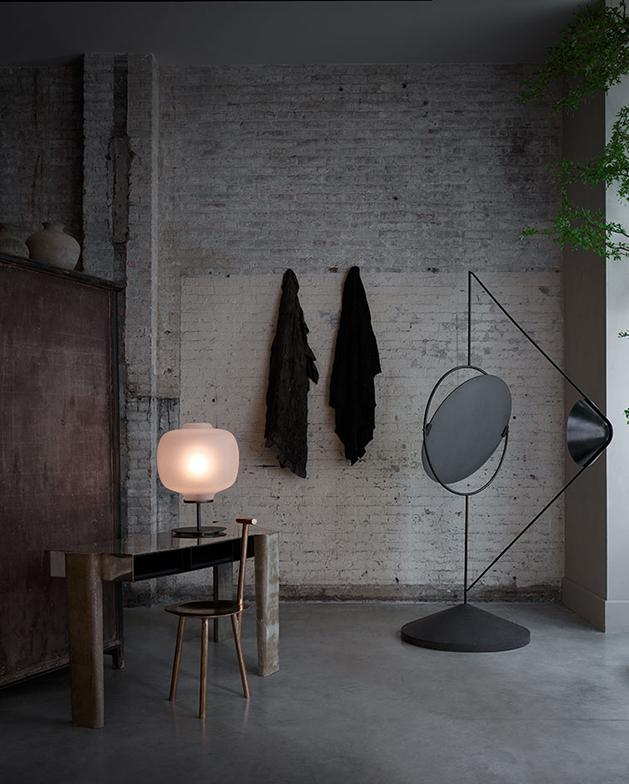 In last week's blog post featuring the incredible 11 Howard Hotel in NY I mentioned that Studio Oliver Gustav had opened a showroom there. 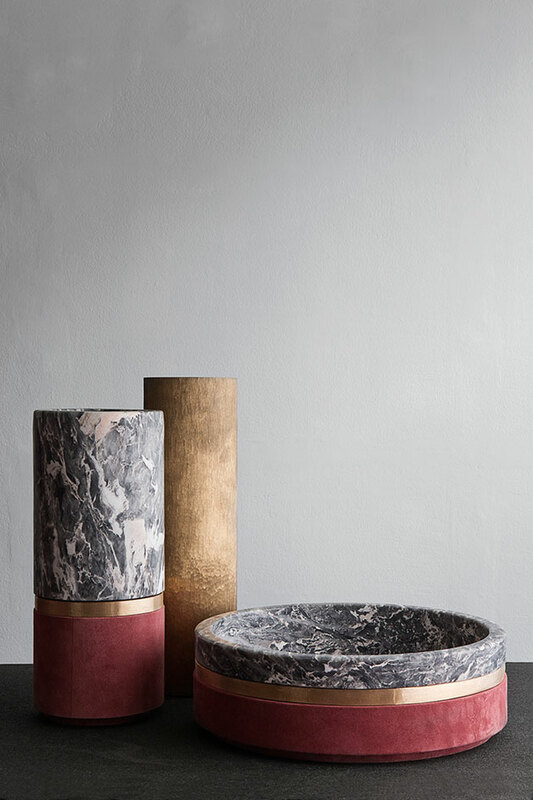 I've always been blown away by images of renowned Danish interior designer's Copenhagen boutique, and this one has had much the same effect. Reflecting Gustav's distinct aesthetic, the amazing space fits in seamlessly with the hotel's elegant, Scandinavian style interior. 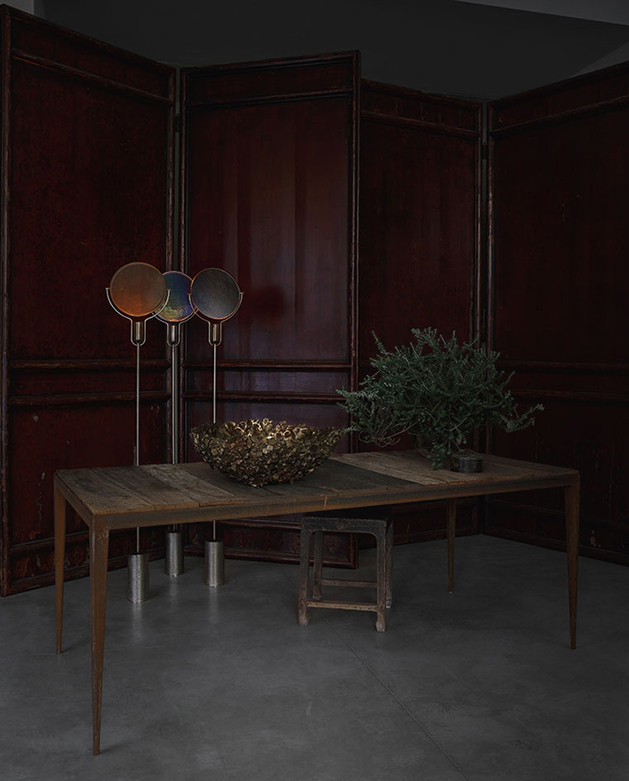 Located off the lobby, it offers a mix of furniture and objects including antique pieces and curated products as well as Gustav's own designs. 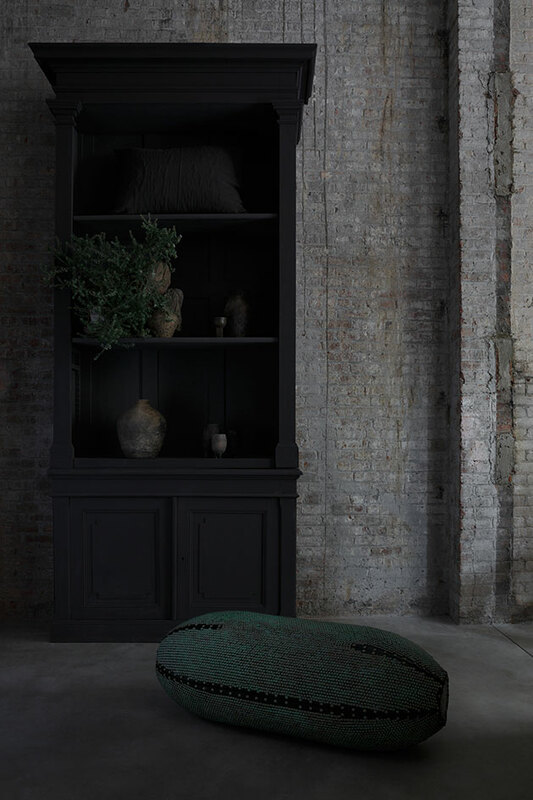 The dark monochrome space with its raw, exposed bricks provides the ideal backdrop for the unique, highly covetable pieces, some of which are pictured below. 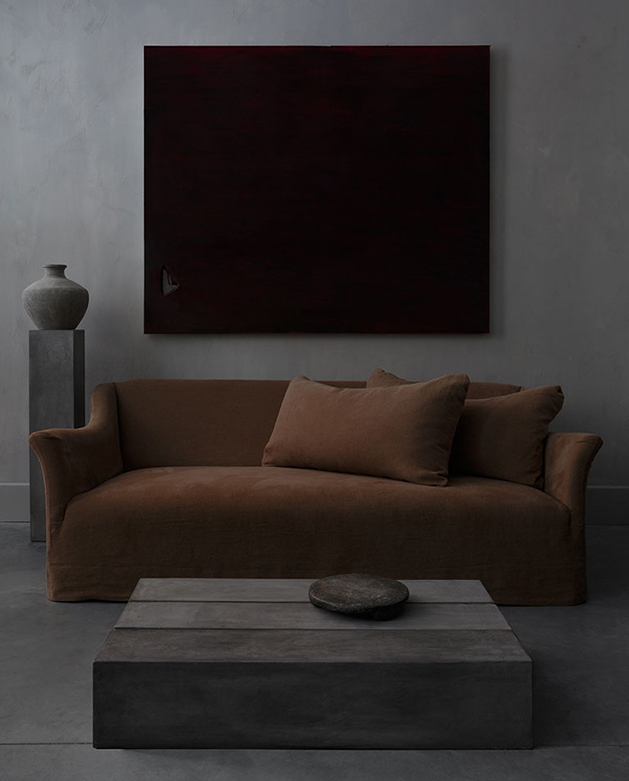 A few of my favourites include the Wing Light and Spade Chair by Faye Toogood, mirrored furniture from Vincenzo de Cotiisthe, the exquisite rust coloured sofa designed by Gustav and a series of suede and stone vessels by Michael Verheyden. Home to several exclusive finds, the boutique even has scented candles in a specially created 11 Howard scent by the Parisian company Mad et Len. Oh wow. 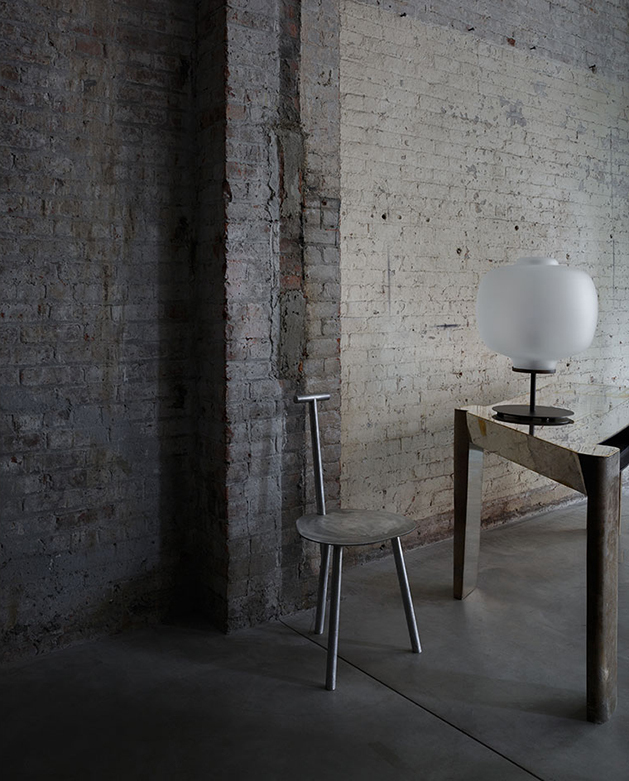 Scandinavian design is just so stylish and unpretentious isn't it? I really really like those rich mulberry/browns and orange colours against that grey, and how simple the shapes of the furniture is. That dining chair looks a litttttle bit too uncomfortable to linger on (but it's absolutely beautiful! ), though that sofa looks good enough to sink into right now! The whole thing is making me think of Autumn and is definitely the kind of thing that would work really well here in England...especially with Winter on it's way!